There's a reason why Strider Subaru is a premier new and used car dealer for Asheboro, NC. It's because we provide quality automobiles at prices our customers can afford. Our knowledgeable staff will answer your questions, help you find the right new car, and can assist with financing. So if you're looking for a new 2018-2019 or used Subaru in Greensboro, Winston Salem, Burlington, NC, stop in to Strider Subaru and we'll get you into the car of your dreams! Have questions to ask first? Give us a call. Here at Strider Subaru we have an incredible selection of new 2018-2019 Subaru vehicles, including the new Subaru Outback, Ascent, Forester, Legacy, and Impreza. Come in to our Asheboro, NC, Subaru dealership to browse our new and used cars and take a test drive. We provide a complete car buying experience and can easily get you into a brand new Subaru today. Don't have time to stop in? Give us a call or fill out one of our online forms. If a used car is what you are after we have a large inventory near Greensboro, Winston Salem or Burlington, NC, from some of today's top manufacturers. Whether it is a used Subaru car, truck or SUV we are sure that we have something for you. Each used vehicle has been thoroughly repaired and cleaned to make each one feel like-new. Browse our used cars in Asheboro, NC page to see all that we have to offer on our used car dealership lot. Then, schedule a test drive to ensure that your chosen pre-owned Subaru vehicle is a perfect fit. If you are looking for an affordable car loan in the Asheboro, NC, area, we are confident that our wide-ranging auto financing resources and commitment to integrity in car finance will satisfy your needs and keep you a customer for life. After you find the vehicle you want, speak with our auto loan specialists and we will build an affordable loan or Subaru lease in Asheboro to fit your current financial resources, without breaking the bank. Do you need car parts in Asheboro for your vehicle? Strider Subaru is the place to go for manufacturer-approved competitively priced Subaru car parts near Greensboro, Winston Salem or Burlington, NC, backed with exemplary customer service. We have a professional staff on hand to assist you with your needs; whether it is auto parts like batteries and oil filters, or accessories like a bed liner or new car stereo system. We also offer Subaru auto service and car repairs in Asheboro, NC. When you need car repair, auto parts, or maintenance, you can't afford to take your vehicle to someone who is not trained in the latest service and diagnostic techniques. We know you don't have the time for that, so our technicians will work to get the repair right the first time you bring it in. 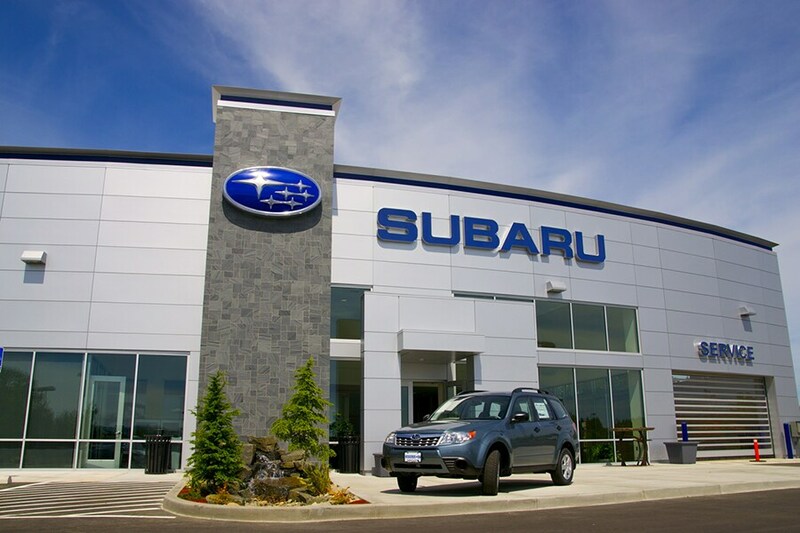 All of the employees at Strider Subaru would like to thank you for your interest in our dealership. Call us anytime or visit us at 1011 E. Dixie Drive in Asheboro, NC. We look forward to having the opportunity to earn your business.